Encore D’Or can make a successful reappearance in what promises to be an intriguing Betway Conditions Stakes at Newcastle. The seven-year-old has won nine times since joining sprint king Robert Cowell, taking his overall tally to 10 having also managed a solitary victory during his initial spell with Ralph Beckett. He has generally plied his trade in sprint handicaps over the past couple of seasons, but has tested the waters at Listed and Group level on a few occasions and generally performed with credit. It could be argued that his most recent effort when narrowly denied by the high-class Hit The Bid in the Group Three Mercury Stakes at Dundalk was a career-best performance and he lines up in this All-Weather Championships Fast-Track Qualifier with upwards of 4lb in hand on official ratings. His fitness has to be taken on trust after a three-month absence and in the admirable veteran and recent winner Tropics he faces a worthy rival. However, Encore D’Or is fancied to stamp his class and book his place at Lingfield on Good Friday. Stargazer can enhance his excellent record at the track with victory in the Betway Live Casino Handicap. Phil Kirby’s charge was unfortunate to be demoted after passing the post in front in a valuable contest at Gosforth Park last March, one of three times he has officially finished second at Newcastle. 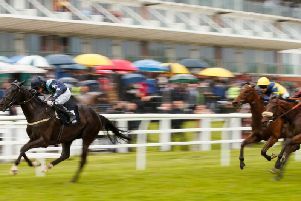 He was certainly not winning out of turn when running out a thoroughly impressive winner of a Fast-Track Qualifier here last month and runner-up Festival Of Ages upheld the form to some extent when again running well in defeat at Wolverhampton recently. Stargazer runs off a career-high mark of 100 on his return to handicap company, but is in good heart and clearly loves the track, so he should still take plenty of beating. 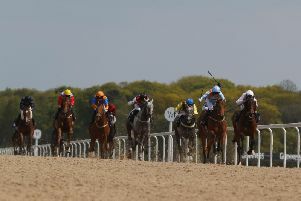 Lucymai was not disgraced in a fast-track qualifier for All-Weather Championships Finals Day when last seen and ought again to be thereabouts back in handicap company for the sunracing.co.uk Handicap. Royal Prospect has two wins from three starts here and is not one to overlook in the Betway Sprint Handicap, while Briyouni gets the nod in the Follow Sunracing On Twitter Handicap. Isaacstown Lad looked much more like his old self when winning at Carlisle last month and can follow up in the Isle Of Skye Blended Scotch Whisky Handicap Hurdle at Kelso. The 12-year-old was rated as high as 134 a couple of years ago, but a couple of disappointing efforts last spring saw him return to action in Cumbria on a perch of 125. Isaacstown Lad made the most of the opportunity with a decisive win and a 4lb hike might not be enough to stop him following up, with trainer Nicky Richards continuing in a rich vein of form. Alizee De Janeiro can complete a course hat-trick for Lucinda Russell in the Persimmon Homes Handicap Chase. The versatile mare won over fences here in November before switching back to hurdles and bolting up between Christmas and the new year. She is well treated on her return to the larger obstacles and is difficult to oppose. Falcon Sun rates the best at Leicester in the Humberstone Handicap Hurdle. Dan Skelton’s inmate won as he liked over the course and distance, coming home with five lengths in hand without being extended. The handicapper has had his say, but Falcon Sun could be the sort to run up a sequence at this level. KELSO: 12.55 Its All A Lark, 1.25 Isaacstown Lad, 1.55 Alizee De Janeiro, 2.25 Rio Quinto, 2.55 Elvis Mail, 3.25 Not That Fuisse, 3.55 Gennady. LEICESTER: 1.10 Mill Green, 1.40 Clondaw Castle, 2.10 The White Mouse, 2.40 Market Road, 3.10 Falcon Sun, 3.40 Utility, 4.15 Katebird. NEWCASTLE: 4.10 Stargazer, 4.45 Blame Culture, 5.15 Lucymai, 5.45 ENCORE D’OR (NAP), 6.15 Royal Prospect, 6.45 Havana Rocket, 7.15 Briyouni, 7.45 Smugglers Creek.